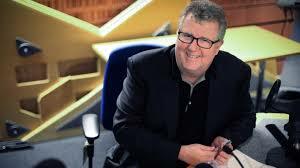 It was only recently that I listened to Steve Hewlett, the BBCs presenter of the Media Show on R4 talking very candidly to Eddie Mair on PM about his diagnosis with cancer of the oesophagus. It was that interview which prompted my post to flag up the Movember charity. I was really sad to hear the news earlier today that Steve has passed away at the age of just 58 and I will very much miss his unique style and sense of humour. He was very much a trusted voice and embodied everything positive in public service journalism. For anyone interested, here's a link to the interview (BBC podcast).